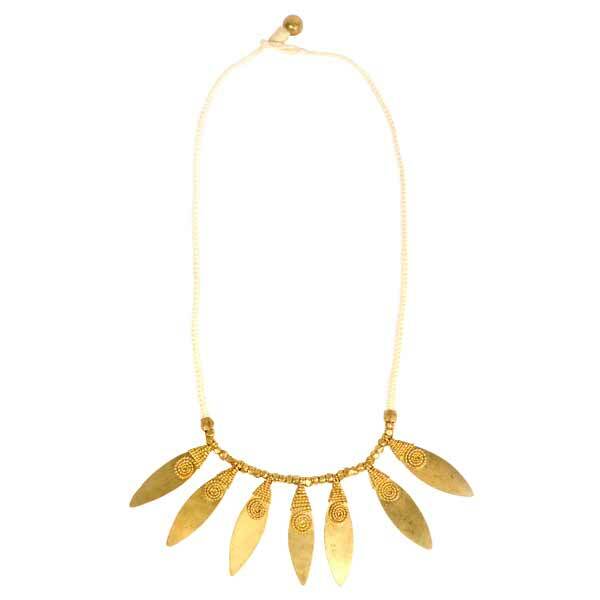 This beautiful statement piece fans the neckline with individually caste brass leaves embellished with spirals on a soft cotton cord. 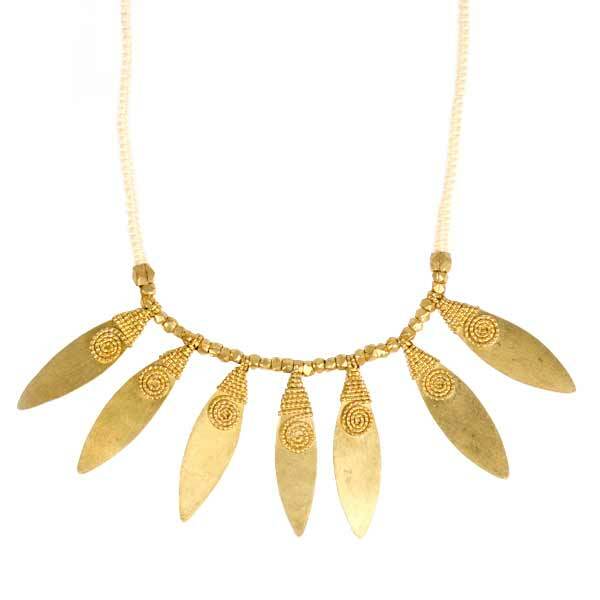 Each leaf and bead is created by artisans pouring hot brass into molds, giving them unique shapes and rich gold color. Simple bead and cotton loop closure. Women made, fair trade, sustainable, non-toxic metals, funds community development.